Supergirl season 3 has been confirmed by the showrunners. It is good news for the fans of the superhero show. It means that the viewers will get to see more adventures and drama in the National City. The CW announced the news in the bi-annual Television Critics Association Press Tour which took place on 8th January 2017. Along with the season renewal news, there are confirmed reports regarding upcoming characters in the National City this installment. Two of them are Batman’s The Music Meister who will appear in a music crossover and Superman’s Mr. Mxyzptlk. 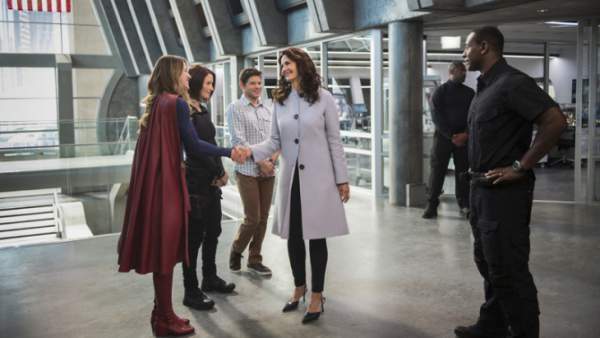 Supergirl season 2 is to resume from January 23 after the midseason finale and winter break. With the announcement of an all-new season, the excitement levels fo the fans have increased to par. It also means that we are going to see more of new characters and episodes. The best of them would be the musical crossover between The Flash season 3 and Supergirl second installment. There are tease reports available for them. According to the reports, Barry Allen and Kara Danvers will meet once again to solve a case which will originate in National City and end in Central City. In the musical crossover, we will see a new enemy from Batman: The Brave and the Bold, known as The Music Meister. He has powers in his voice. He will make use of his singing ability to hypnotize people and make them do his business. However, the actor’s name isn’t confirmed yet. Apart from The Music Meister, there is another confirmed character who adds to the list of villains in the National City. He is known by the name Mr. Mxyzptlk. Peter Gadiot will portray the character. In the comics, he is known for being the anti-hero and supervillain in Superman comics. We may see him in the two episodes of this installment. Supergirl season 2 episode 9 air date is confirmed, and it is set to release on January 23, 2017, with the episode titled “Supergirl Lives.” In the upcoming episode, Supergirl will enter a portal with a Red Sun which will hurt her neglecting her steel-like powers. CW has also renewed six other TV series. There include “Arrow” (season 6), “Crazy Ex-Girlfriend” (season 3), “DC’s Legends of Tomorrow” (season 3), “The Flash” (season 4), “Jane the Virgin” (season 4), and “Supernatural” (season 13). Stay tuned to The Reporter Times for latest Supergirl news and updates.